Our official distribution service also supplies original spare parts. All manufacturing processes comply with the strictest quality controls to ensure that all spare parts are guaranteed to provide optimum durability and performance for your equipment. We offer a full maintenance and repair service provided by our Associated Technical Services located in Belgium, France and Spain. Please contact us for more information. Please remember that to ensure the correct operation of your projection equipment and avoid costly interruptions to work on your projects periodic professional servicing is recommended. We invite you to consult our wide range of accessories for spray guns and other equipment: pumps, nozzles, hoses, mixers, heaters, etc. Mixer for homogenizing TECNOCOAT polyurea, especially designed to be screwed onto our three-nozzle can. Graco T1 and T2 are pumps allowing optimum performance for any situation, including the handling of more viscous materials. Allow yourself more time for spraying and less time in the maintenance of your Graco equipment. 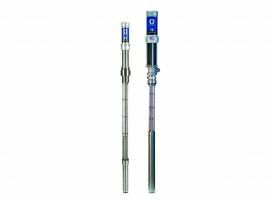 High and low pressure thermal hose for Reactor dispensers. 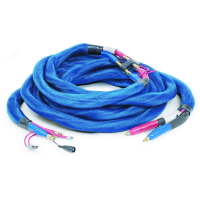 Manufactured by Graco, the Reactor thermal hoses are designed to maintain correct fluid temperatures while you spray, resulting in greater efficiency and better results. 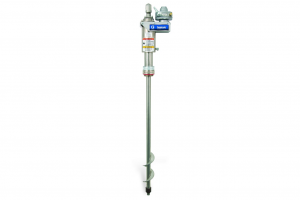 Available in low pressure (2000 psi/138 bar) and high pressure (3500 psi/241 bar) models. Fully equipped with genuine Graco parts for guaranteed satisfaction and performance.